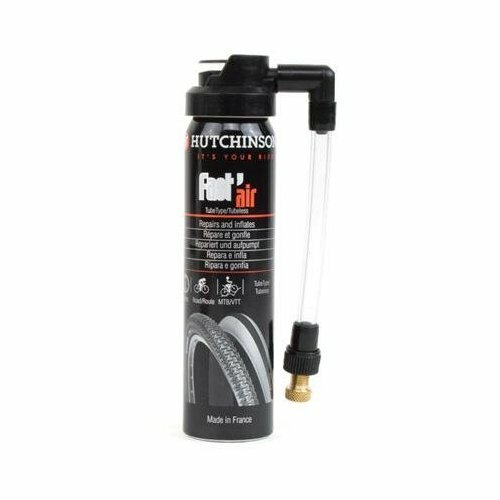 Hutchinson Fast'air Tubeless spray repairs and reinflates your tire in only 90 seconds for punctures less than 1mm. Repairs tubeless tire by simply plugging the injector on the presta valve. 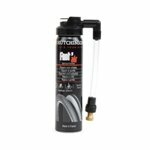 Combines pressurized air with Hutchinson's own latex repair liquid. Can also be used to repair tires with tubes.